Just sharing you this news related to Philippine Stock Exchange Inc. P9 dividend composed of P4.59 per share for regular cash dividend and P4.41 per share as special cash dividend. This kind benefits is a blessing for stockholders. "The Philippine Stock Exchange (PSE) has increased its dividend payout to shareholders on the back of an improved performance last year. In a disclosure, the operator of the country’s sole stock exchange declared a P549-million cash dividend at P9 per share, higher than the P7 per share payout last year. Specifically, PSE will distribute P4.59 per share representing the regular cash dividend and P4.41 per share as special cash dividend. Sharehol-ders of record as of April 2 will receive the dividends on April 26. Last year, it declared a regular and special cash dividend of P2.95 and P4.05 per share, respectively. 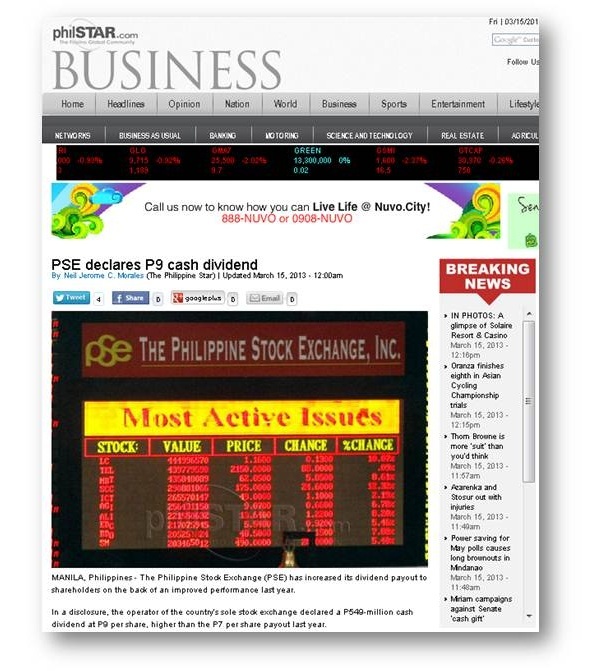 In 2012, PSE’s operations benefited from a surge in activities at the equities market." 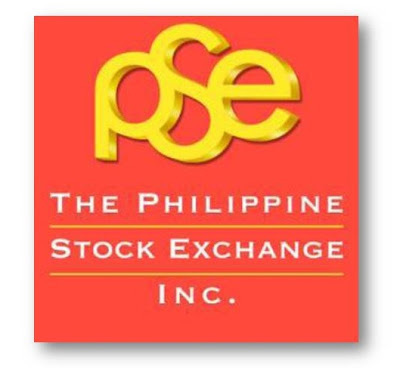 "PSE generates its operating revenues from listing fees through initial public offers and additional listings. The benchmark PSE index, which recorded 38 all-time highs on its way to growing 33 percent and closing at 5,812.83 last year, was the second best performing benchmark index in Asia, next only to the 36.3 percent climb of Thailand’s SET index. So far this year, the benchmark index has recorded 23 all-time highs, with analysts expecting it to end the year near the 7,400 level amid rosy economic prospects, continuous corporate income growth and foreign capital flows."